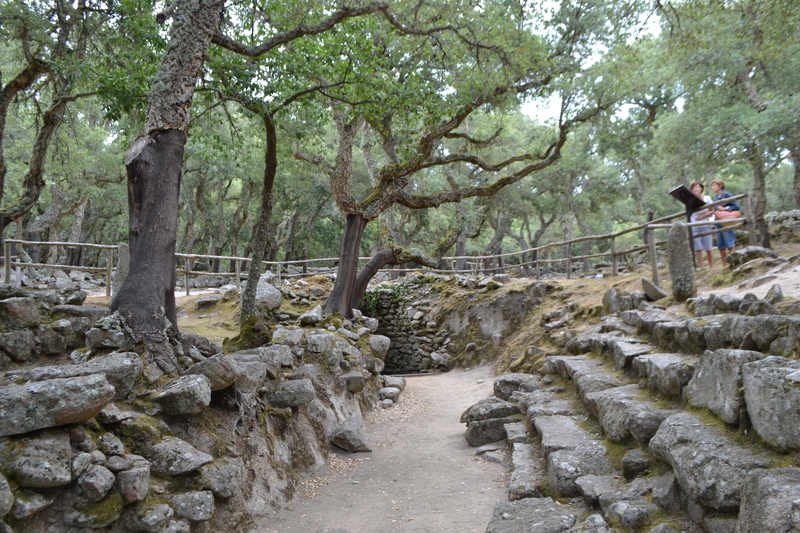 For the last twelve months I have been cataloguing some of the rich sacred spring heritage of Sardinia. 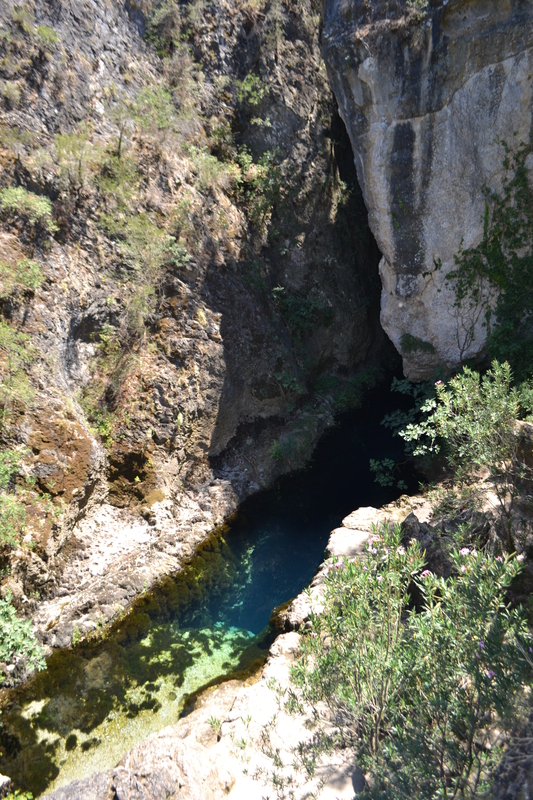 For the final post, perhaps the most fascinating sacred spring site has been saved until last! 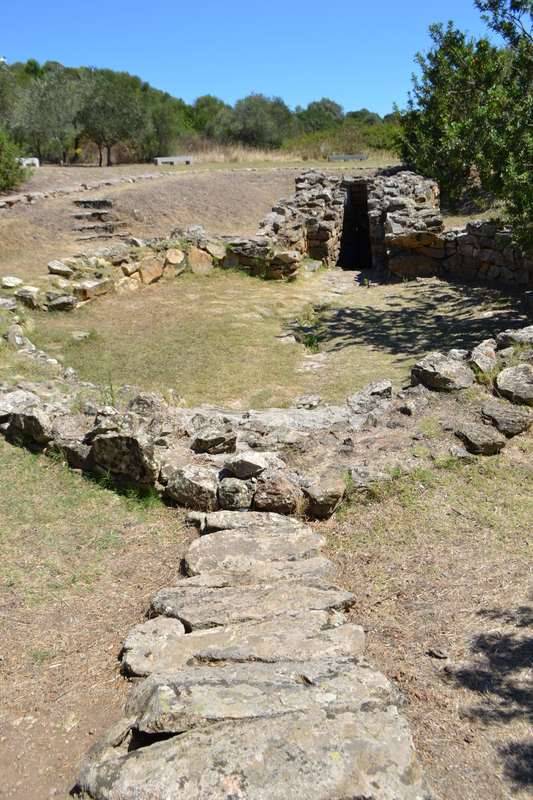 For buried beneath a fairly ordinary Sardinian church is a unique marvel – an incredible relic of ancient times and a testament to the continuation of tradition and spirituality. 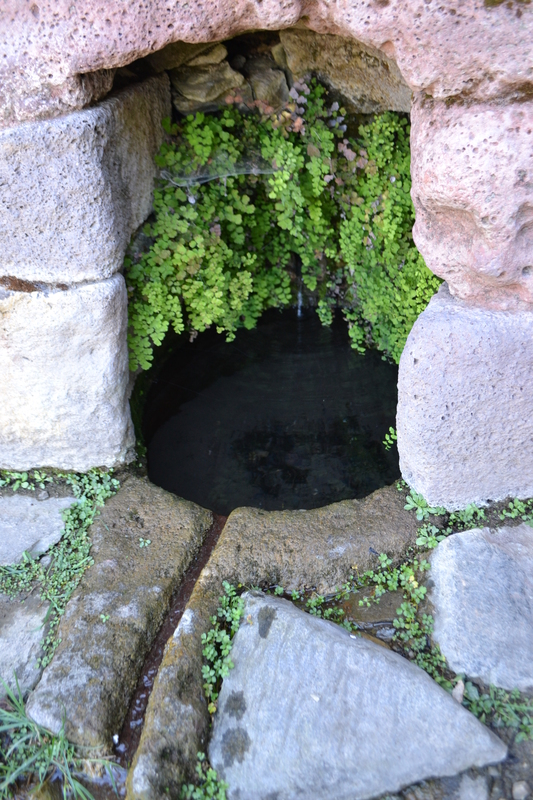 For 1000s of years, generations of Sardinians – whether Nuraghic, Roman, Punic, Islamic or Christian have worship here at the sacred spring. 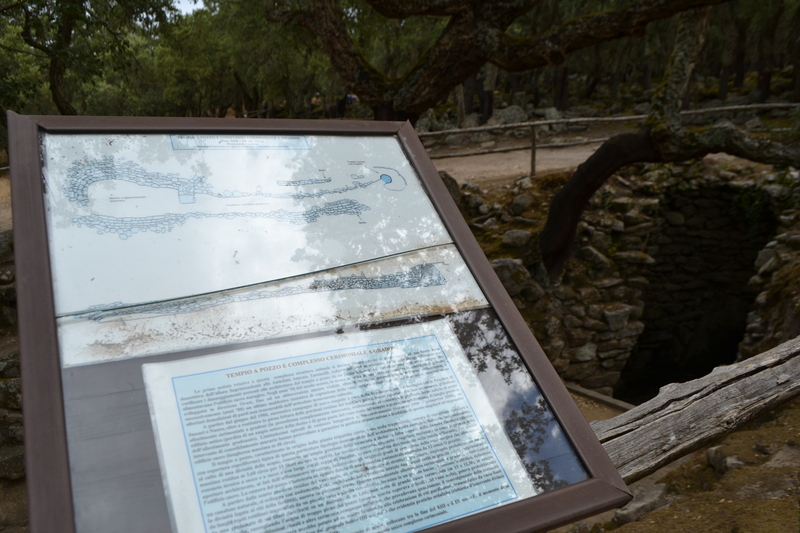 The site is in a remote place – remote in every sense – geographically, culturally and of course historically. 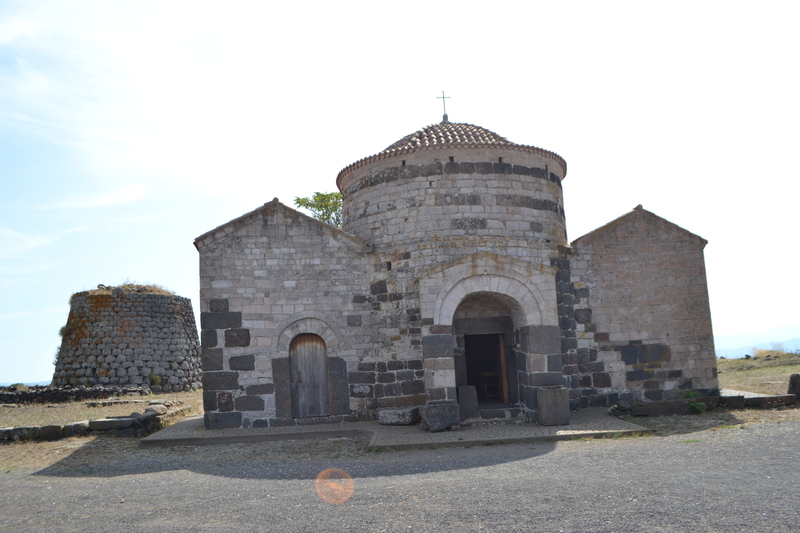 The village of San Salvatore is a typical example of a temporary religious centre, such as we discussed at Santa Christina. 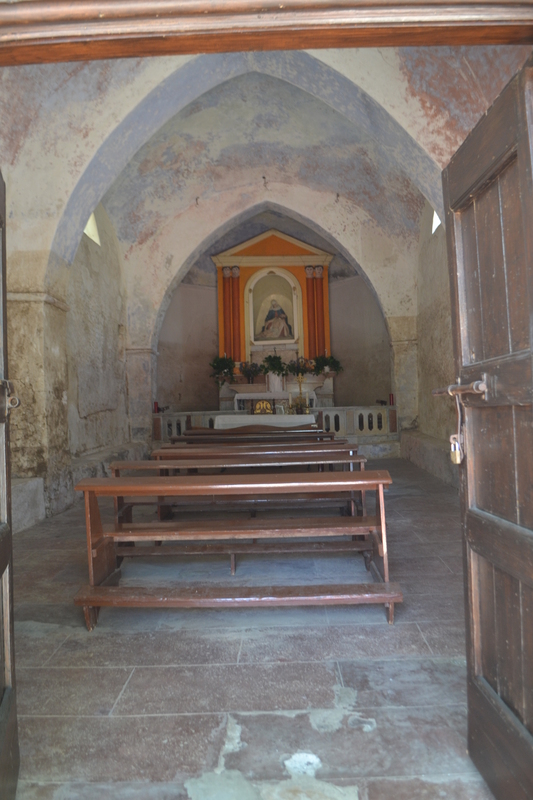 A village of 130 houses which apart from one house the village is completely deserted centred around its church of Jesus the Saviour. So deserted in fact that I feared that the church would only be open at specific times, as my guide book suggested, but I found it was. When the church is certainly open and the village comes alive in the first Saturday of September. It is then that the village swarms with attendees of the naked foot race. 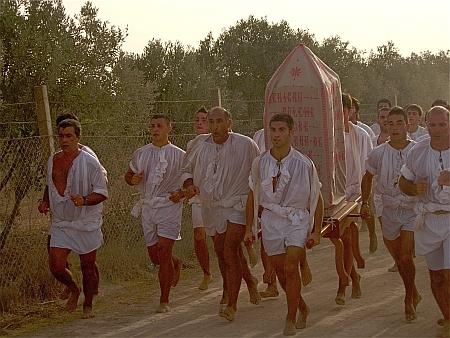 This race called the Corsa degli Scalzi or Barefoot Race is said to commemorate an 1506 Arab pirate attack that forced nearby town of Cabras to run to San Salvatore to hide their Saviour’s statue. The local faithful still run this dirt track in their white tunics and stone torn feet. It is very tempting and indeed it is likely that this ritual arose from some ancient practice at the site. This is especially considering the autumnal date of the custom which would tie in with harvest festivities which certainly were celebrated by ancient civilisations. Essentially considering the name Saviour is the same as Sin Salvatore’s church. Is this some ancient processional ceremony to celebrate the harvest? Arriving at the church, it is a fairly typical whitewashed Italian church. Not remarkable but pleasing to the eye, a simple two aisles divided by pillars. The only clue to anything unusual is that it is arranged in an unusual orientation. 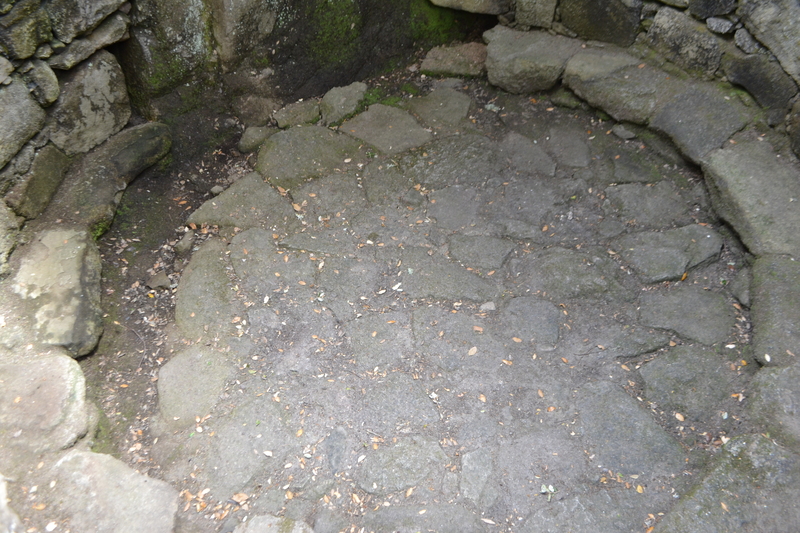 This is a clue to what lies within as its arrangement was presumably done to enclosure the original sanctuary. It is this sanctuary that we have come here to see. 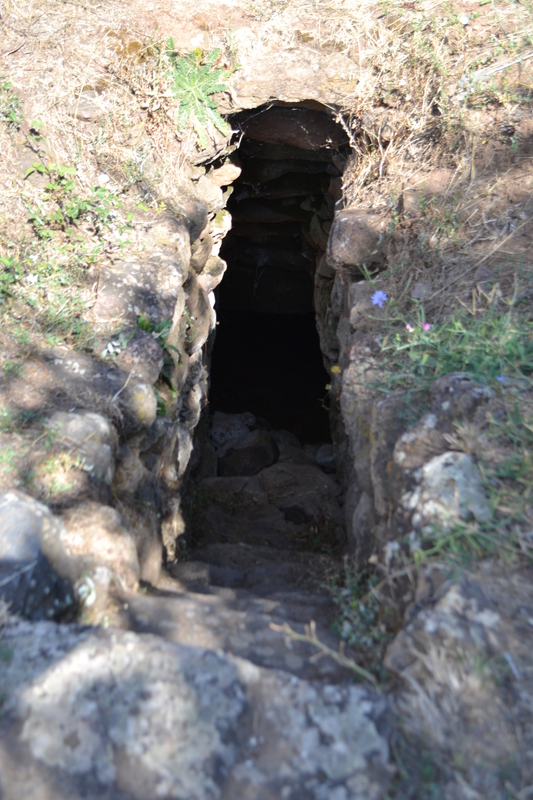 A rectangular hatch in the floor opens up to reveal a step set of stone steps into a dug out chamber, made of sandstone and brick faced with cement – a hypogeum – not the only one in Sardinia but unique in what we find within. The steps lead us to three separate chambers set off a central room in essence a cross arrangement. 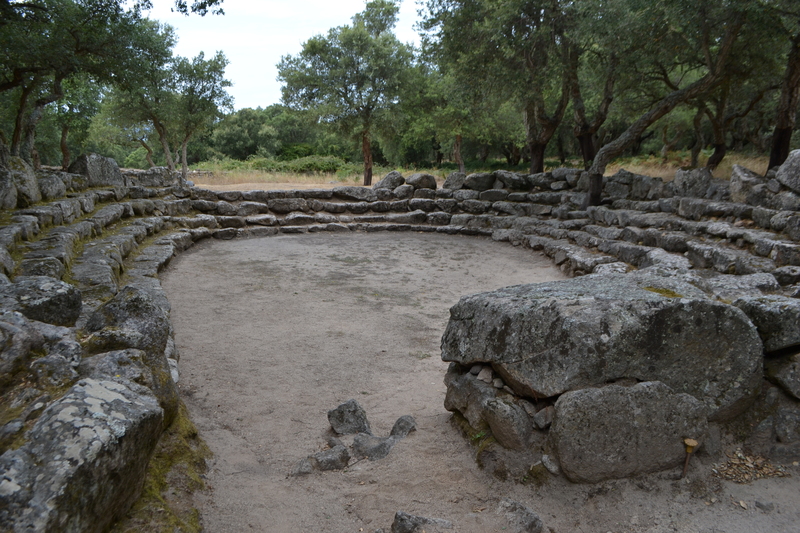 The shapes of the chambers with their dome roofs suggest partly a Roman origin. 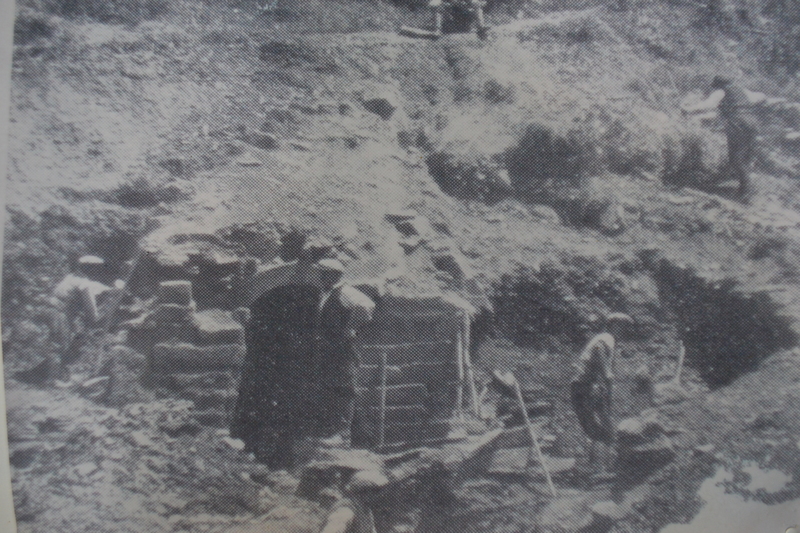 However, it is thought that the construction of the church may have removed any firm evidence. 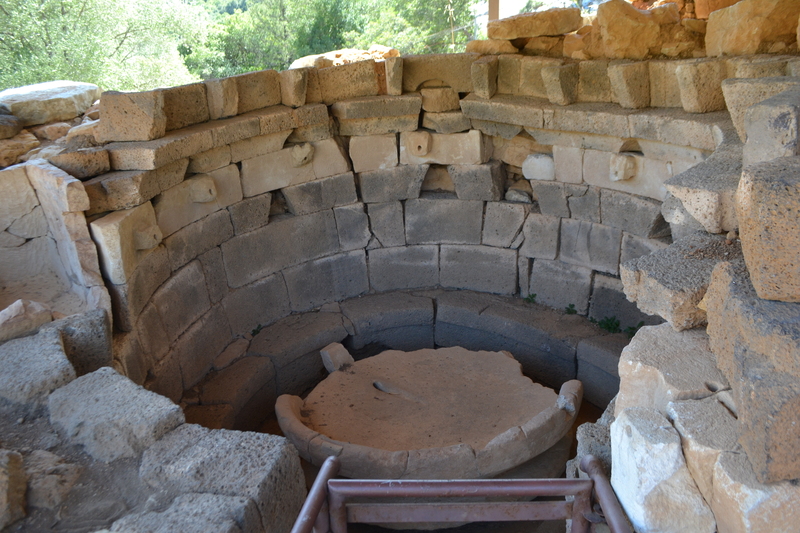 The central chamber is dominated by a large square well, now dry. 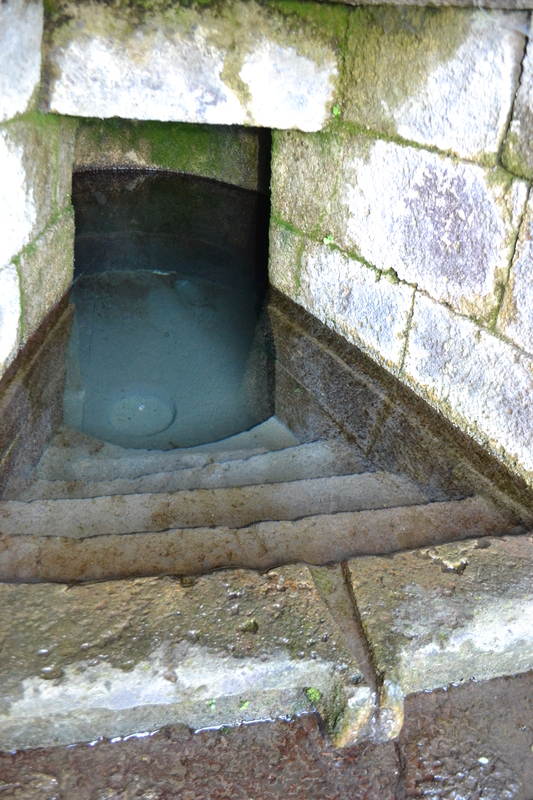 Originally this well’s water was obtainable from the church above by an aperture now closed up. 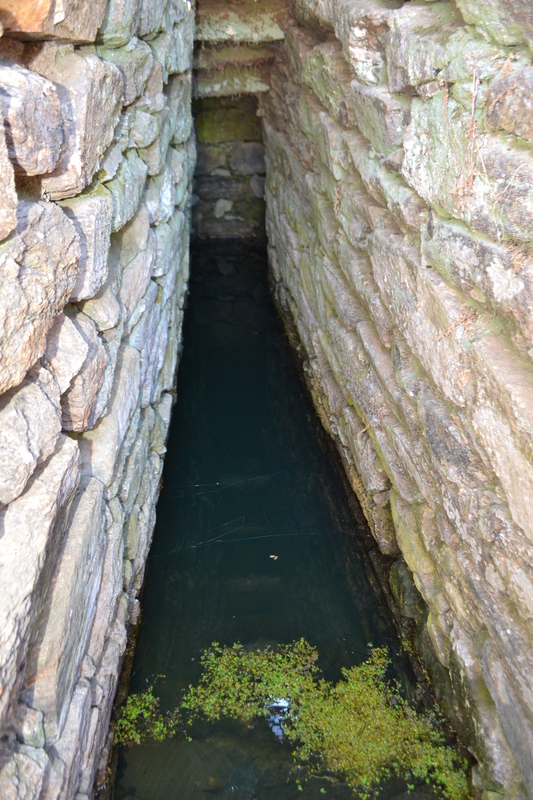 The furthest chamber is the most interesting and looks like the most significant religiously. 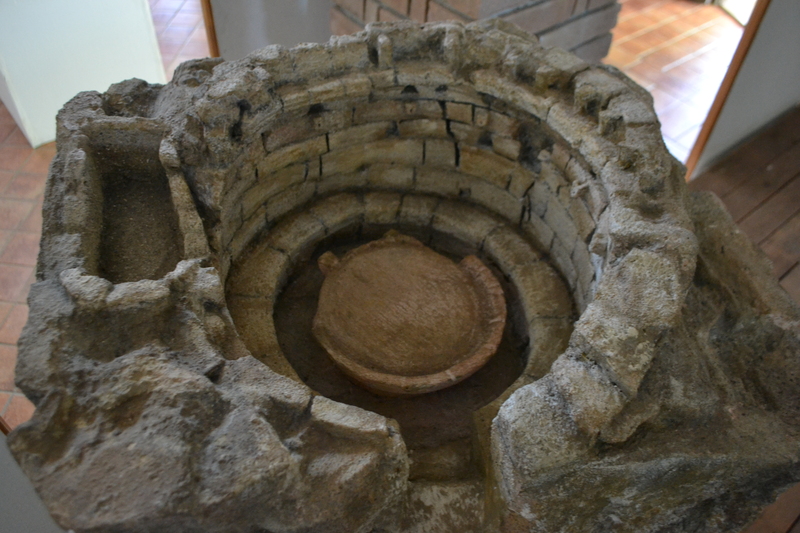 Here is found a small table altar, a semi-circular drainage hole and circular well shaft. 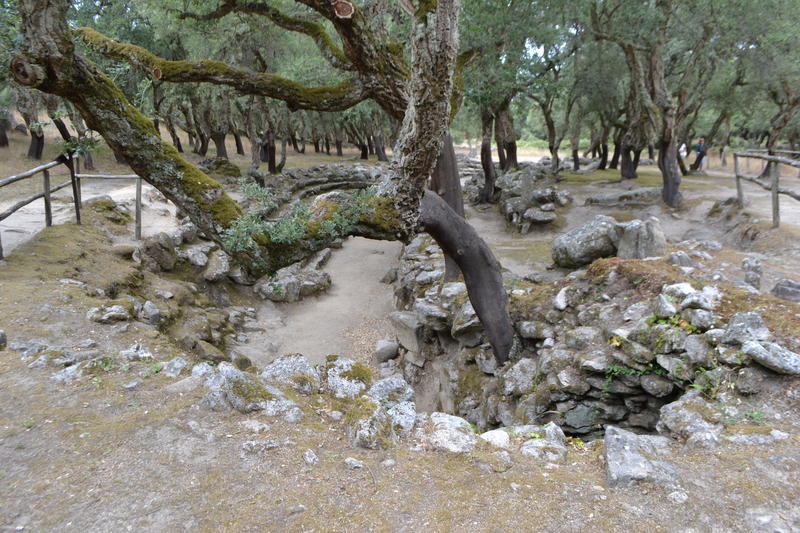 It is this well which is believed to be the original nuraghic site, although the evidence is scant. There is certainly no lack of evidence for its usage. 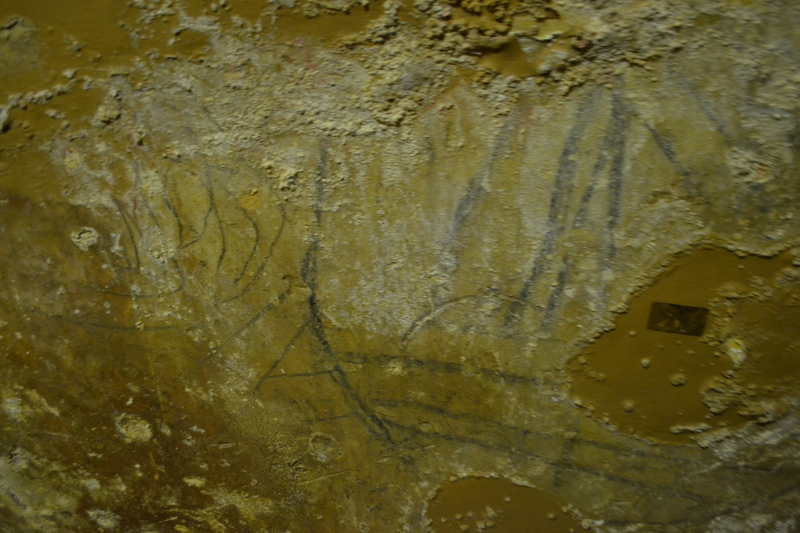 This evidence being on the amazingly preserved drawings or graffitos on the walls around the chamber. 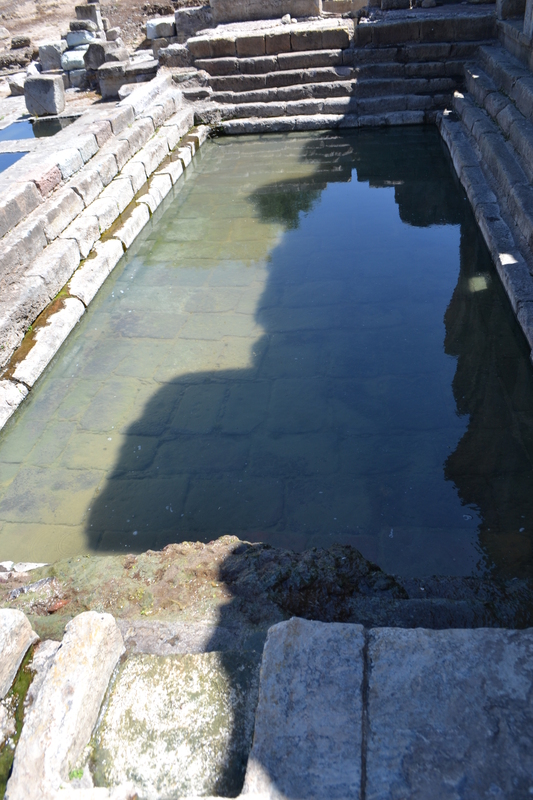 The wells were dry in August but that is probably significant I could not confirm it but I would reckon that the spring was flowing in September at the time of the festival. 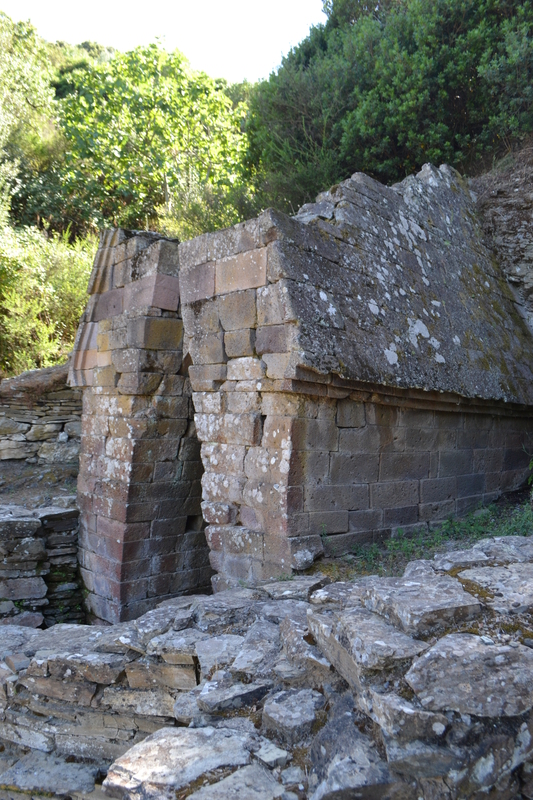 The site was probably a baptistery, and the dedication of the church to Jesus may well suggest this, but it is also possible that the hypogeum was the shrine of some saint. 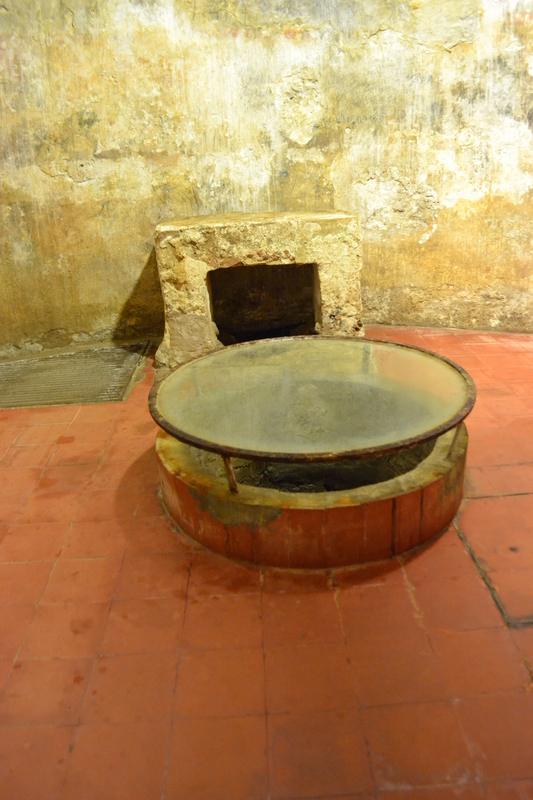 There is support for this for in Mamertina prison, a healing well was said to have used by Saints Peter and Paul, the water of which came from the catacombs of St Elena. 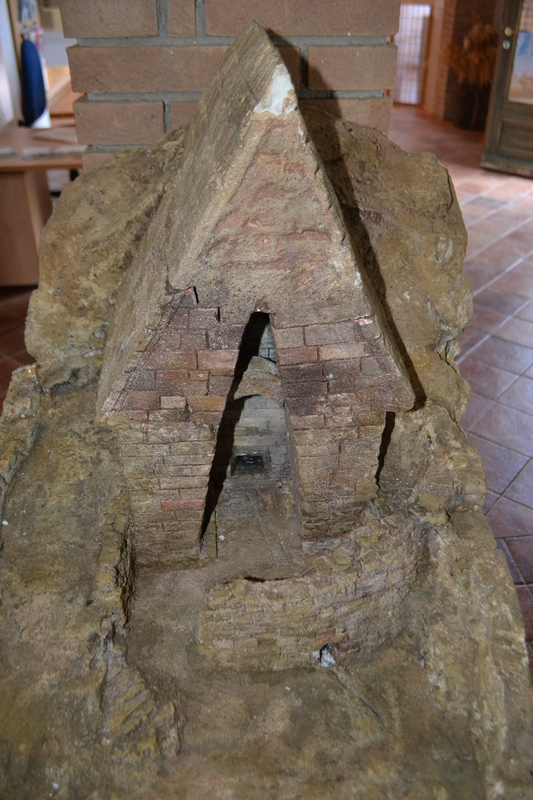 Early baptisteries were incorporated into church and it was only after the risk of persecution was lifted that they became separate buildings. 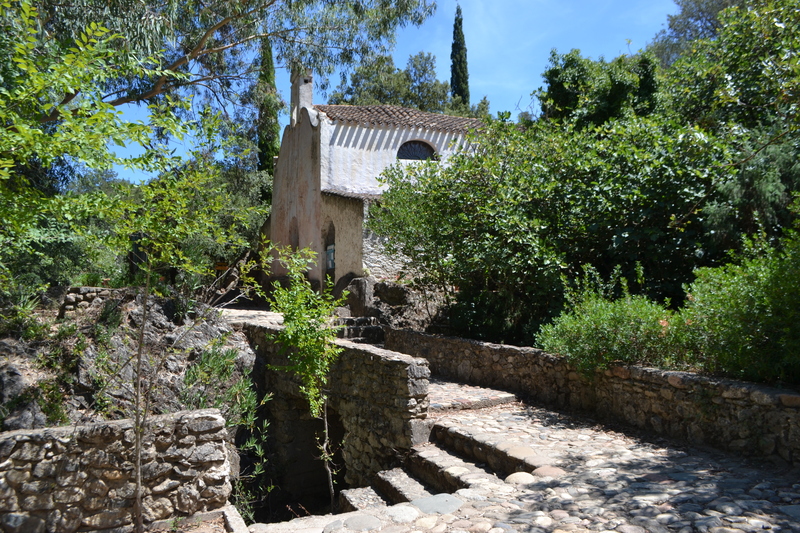 “Vi era un altro insediamento-scrive Fra Alèu nel 1684-non lonta- This monastery is thought to date from 1070 and suggests an importance to the settlement long since past. 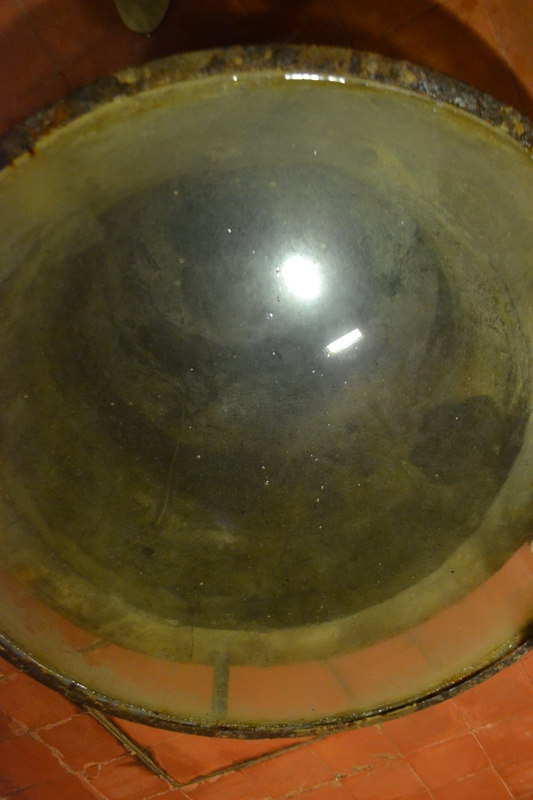 However, dig beneath the surface and this history is indeed very ancient. 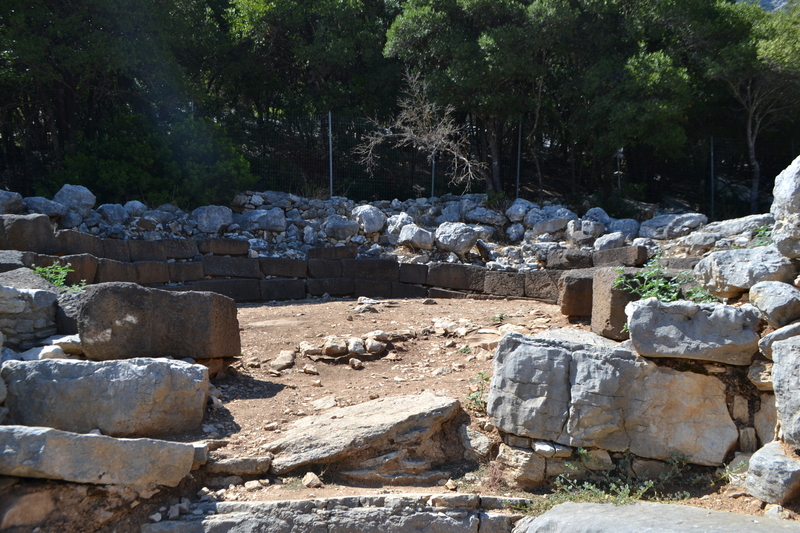 Near the village itself are Roman remains. 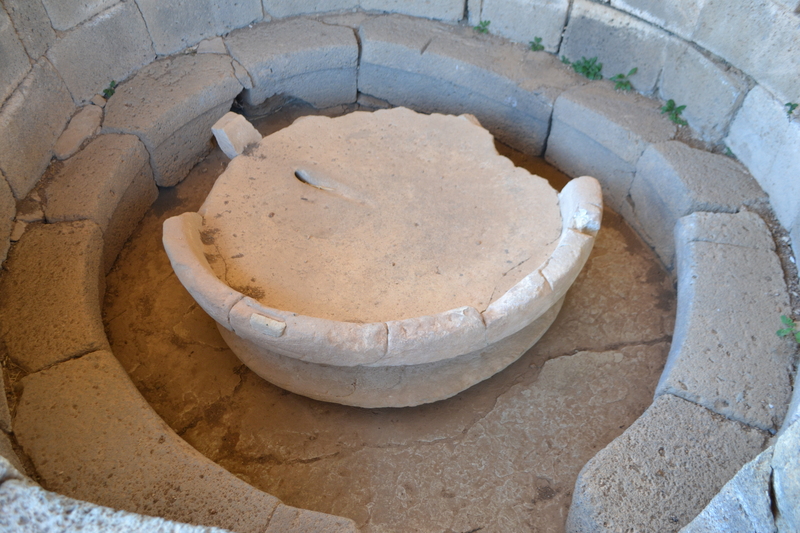 It is en route to the city of Tharros and along the Sinis lagoon are Neolithic towns. 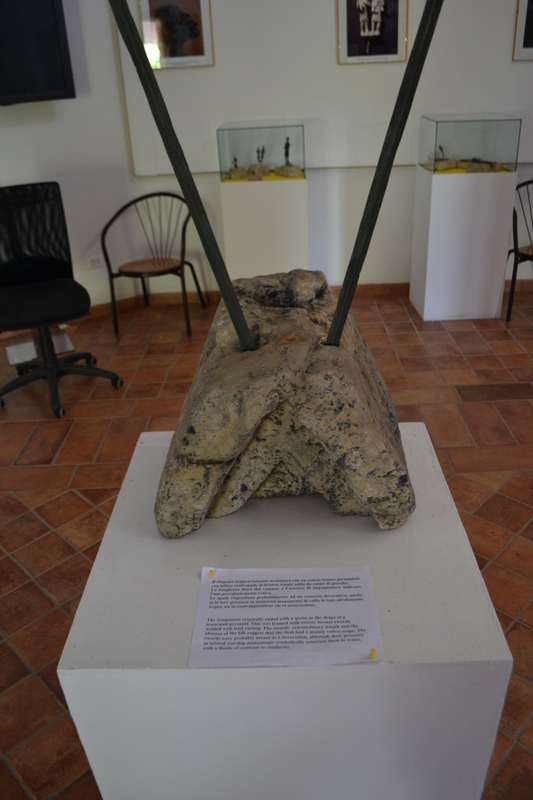 The presence of Neolithic towns along the banks of the lagoon Sinis have left not only obsidian tools and more significantly a Mother Goddess. Clearly a very significant location. 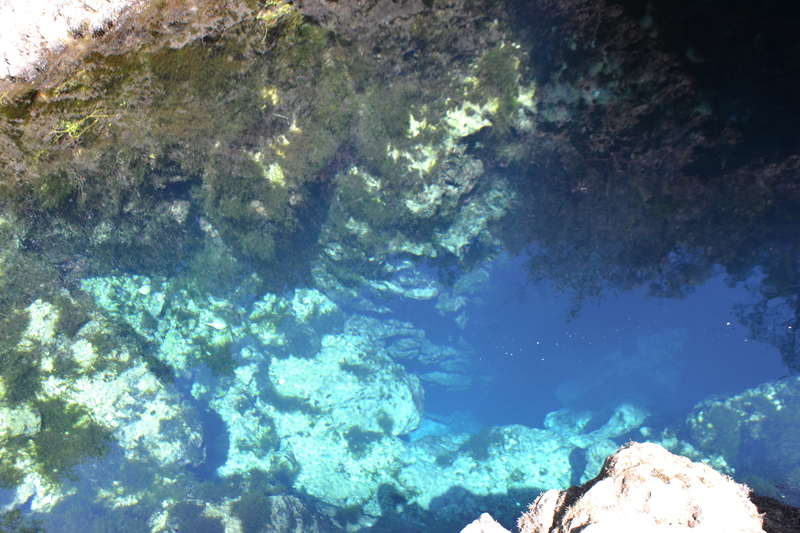 Once in the chamber one is struck by the otherworldly nature. 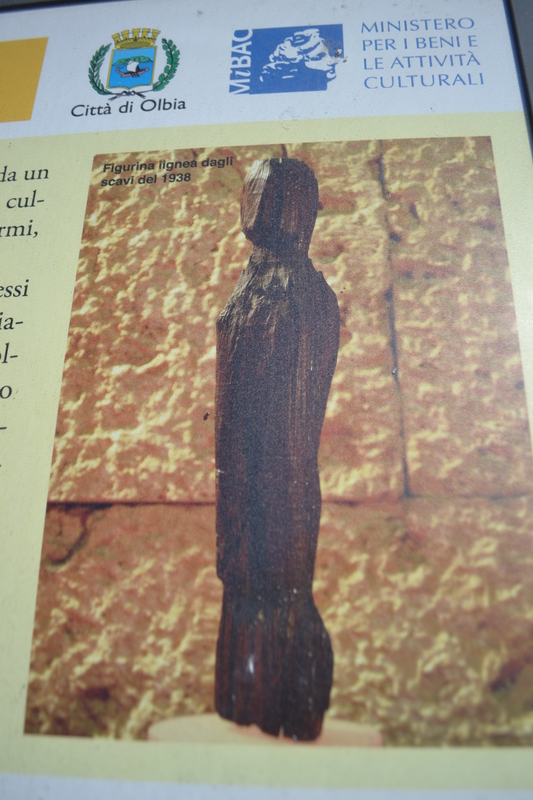 Sardinia has many great relics. Indeed its domus tombs are amongst the most awe inspiring. However, there is something more atmospheric about this site. 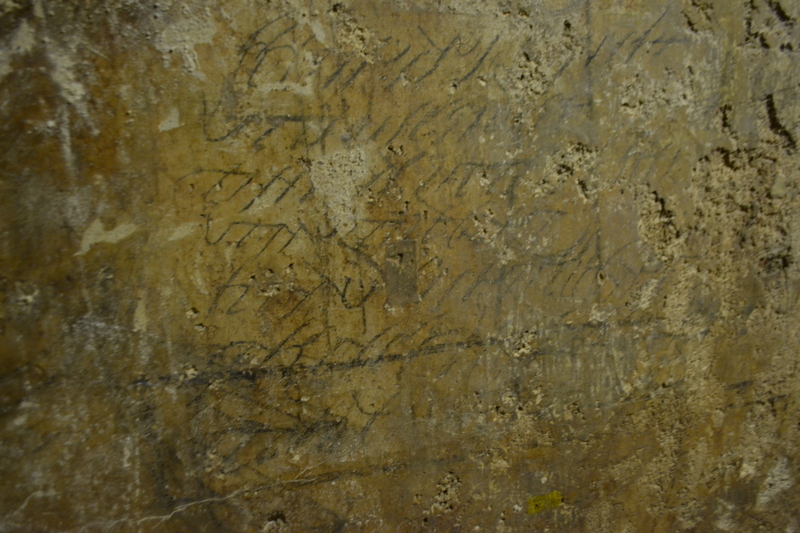 Part of this is due to the artwork and inscriptions – graffiti – from over the ages on the walls. 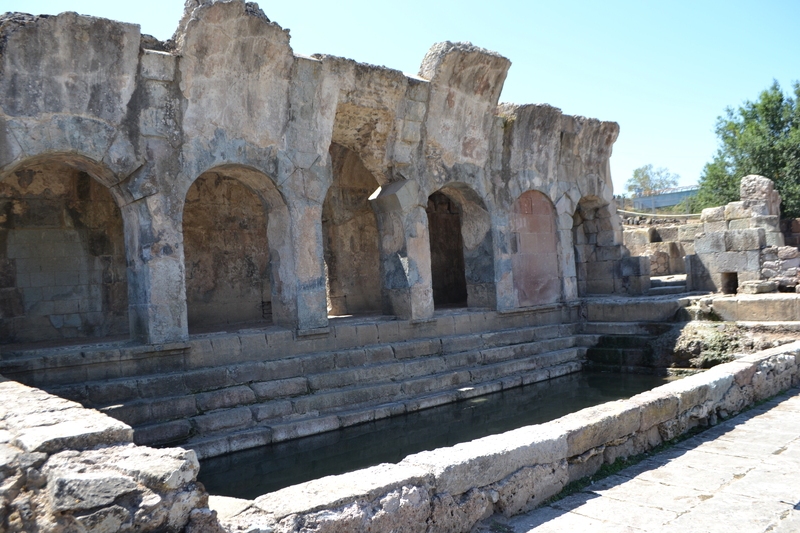 These inscriptions span the centuries from 16th century back to Roman. 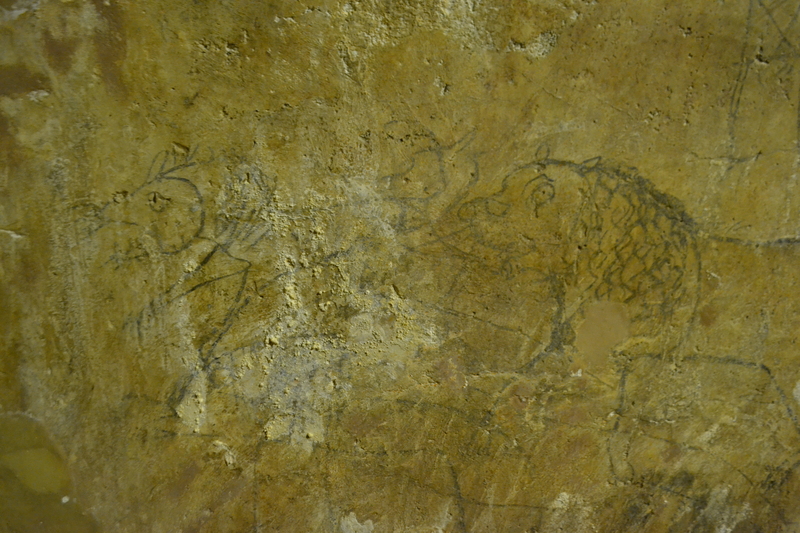 Drawn in charcoal for the most part, although some have traces of colour, probably ochre, they are Arabic, Latin and Greek in origin. Inscriptions some of scripture, some harder to decipher, animals, deities and various scenes, laying upon each other in a confused manner, even modern graffiti. 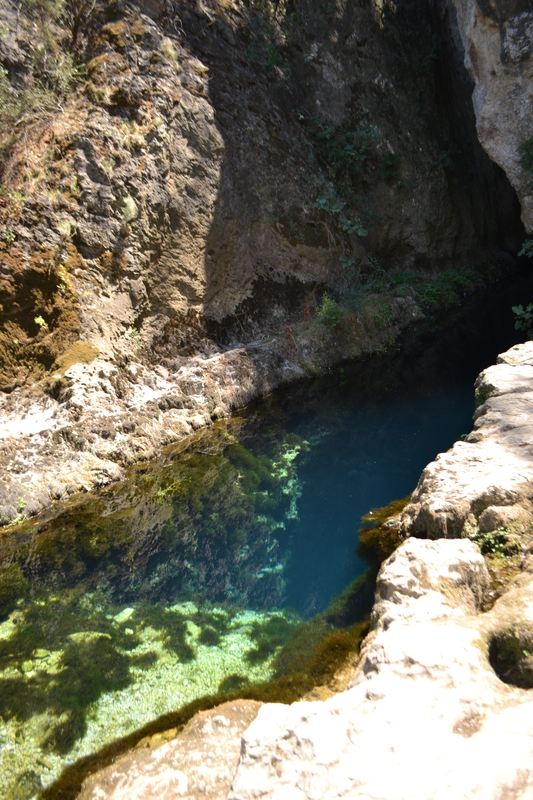 Like many places more recent visitors have made themselves known such as a Fin Salvatore in 1920 which is on the central well. These modern inscriptions sit with older Latin writings from the fourth and fifth century AD although deciphering them is now difficult. 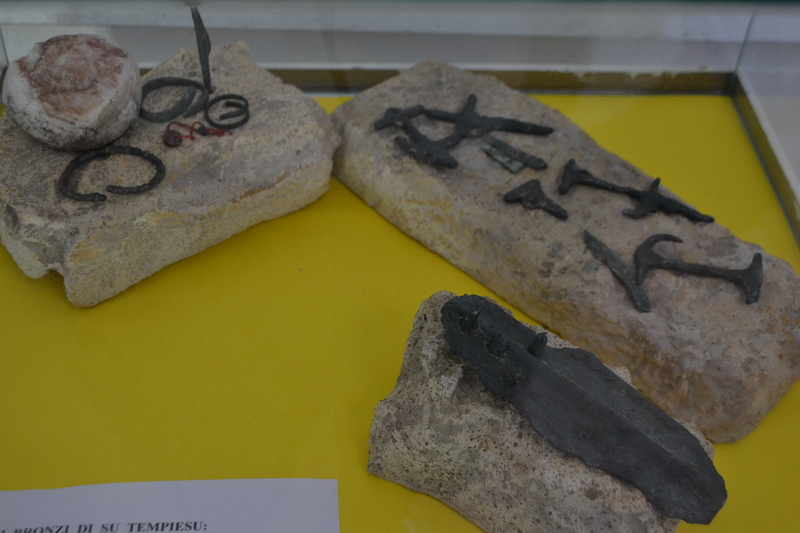 It is possible that these and the Greek letters represent some sacred alphabet perhaps a magical incarnation or spell. This may explain the appearance of RF written eight times on the walls. 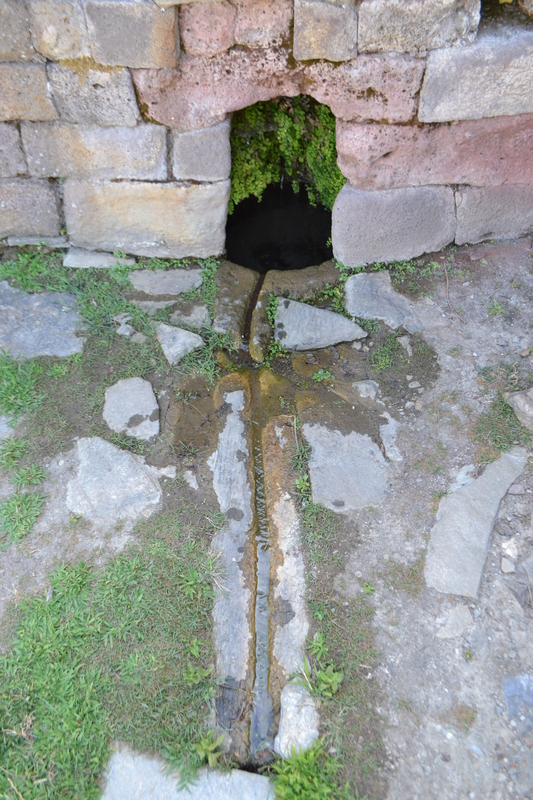 One interpretation maybe that this is someones’s name – Rufus – another that it may derive from a Semitic prayer barb-pe-aleph (ip ‘), meaning ‘heal, save, give health.’ And may have been associated with the use of the well water. Those who visit churches will be familiar with bosses, poppyheads and misericords showing strange animals often personifying human evils. It is probable that some of these images fulfil the same function. 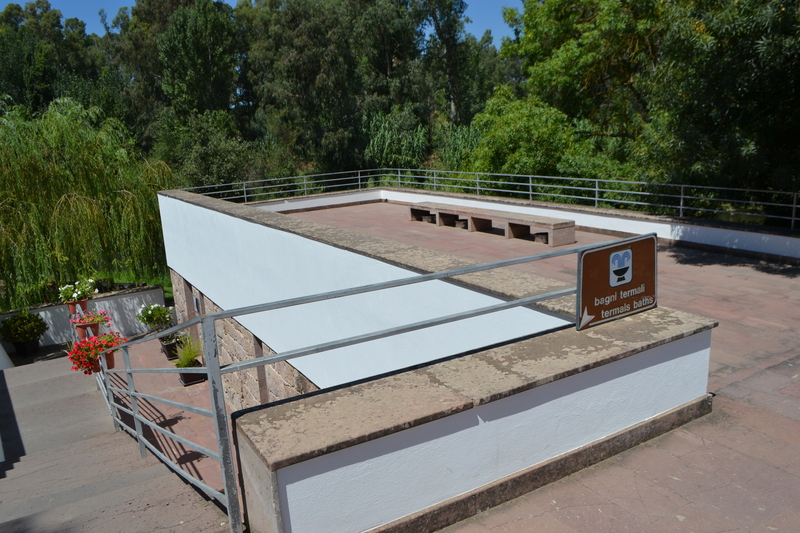 For on the walls are geese, dogs, and large cats. 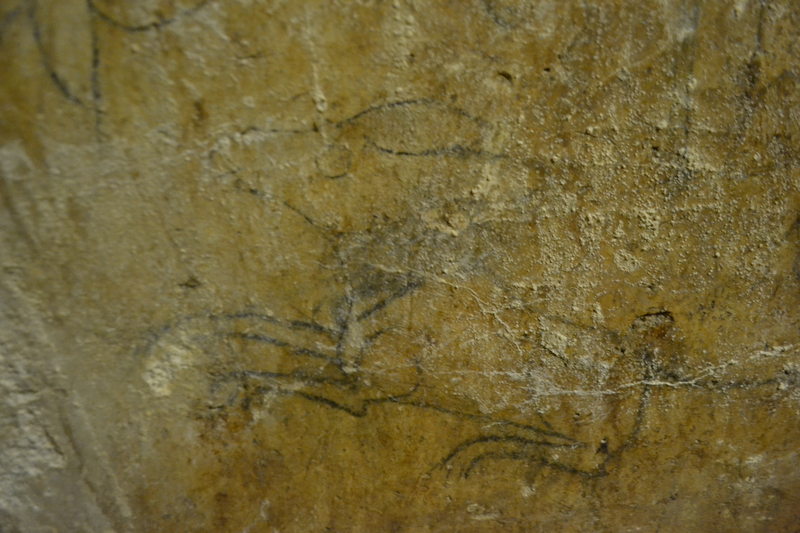 More interesting and again emphasising its classical origin there is a winged horse probably Pegasus and fish. 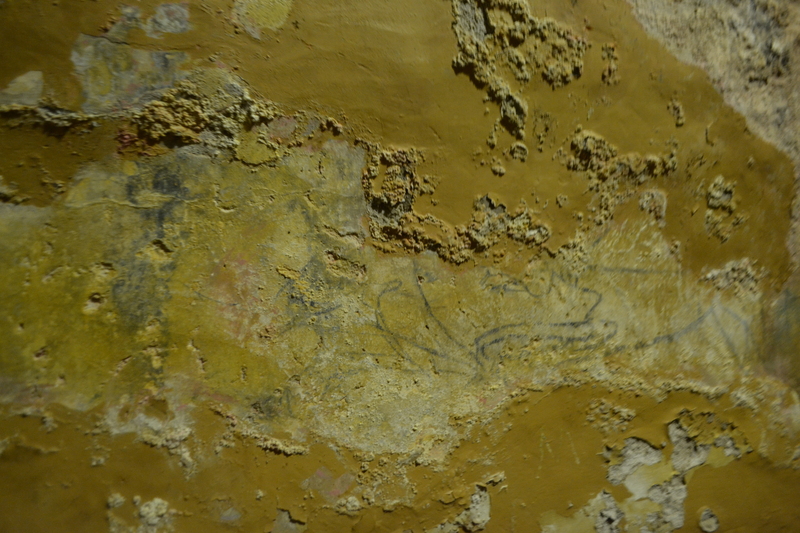 Fish of course represent a secret code for Christians and their presence on the wall must be seen as significant. It emphasises the chambers use as a secret place of worship. 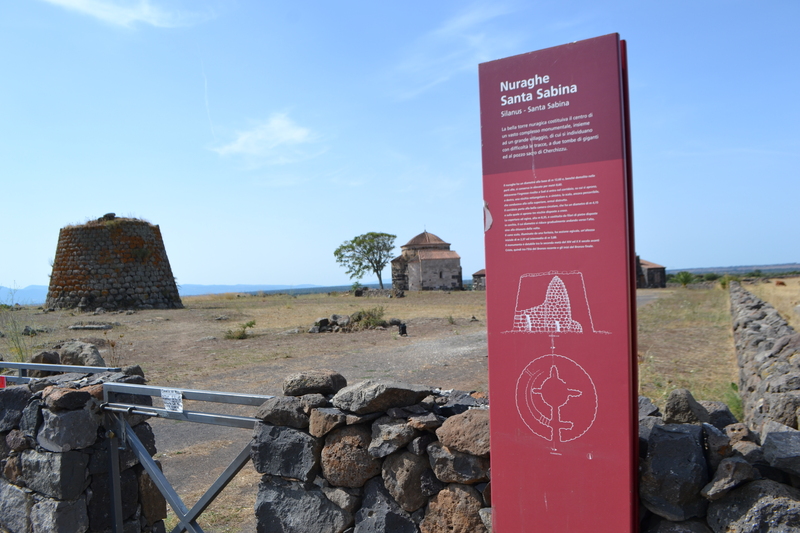 Although one might question why did these early Christians not remove the signs of pagans – perhaps like in many other places they were attempting to assimilate not destroy signs of earlier worship. 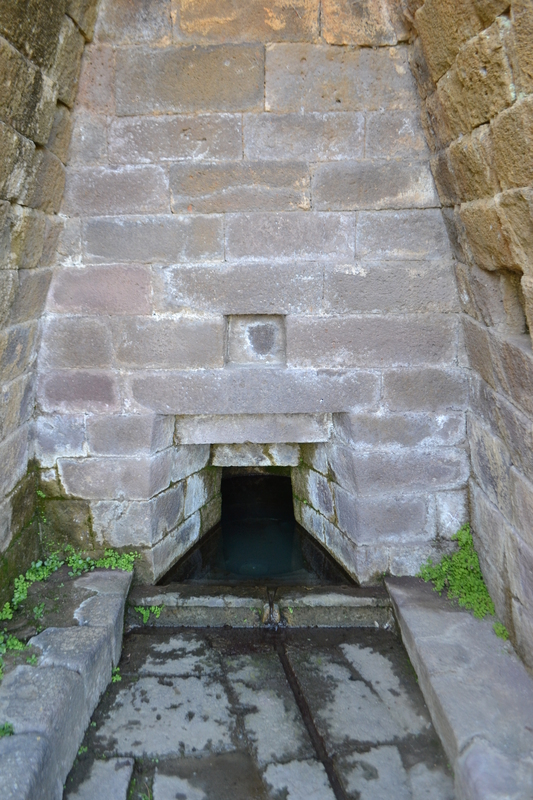 Another possible link with the well is the presence of ships. 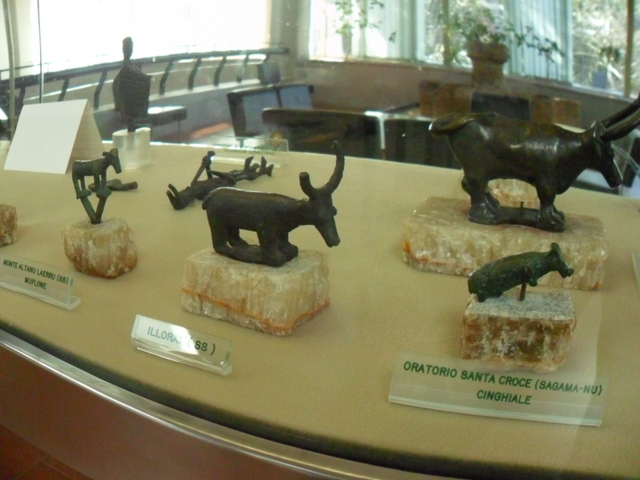 Some of these are of local, fassoni reed boars, and possible ancient origin. Others are three mast ships, a feature which does not belong to the ancient world, but is rather typical of the sixteenth and seventeenth century. So why are they here? 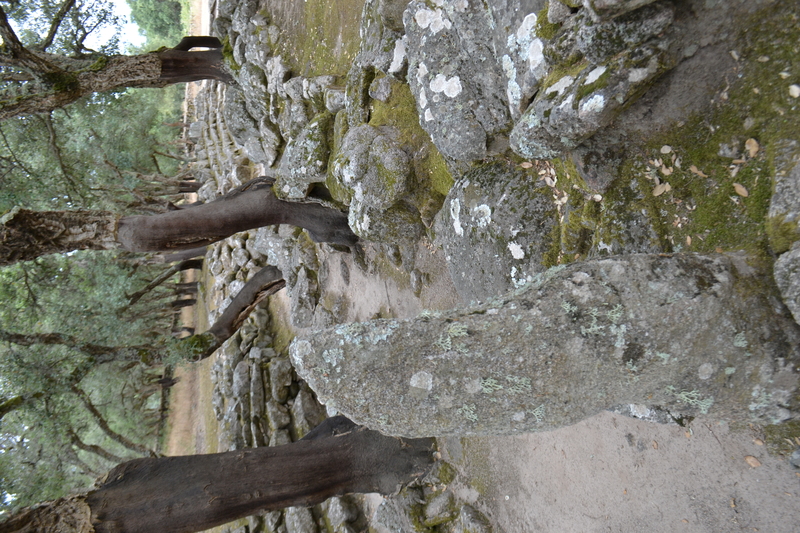 It is probable that the ships were part of some long held ritual here. 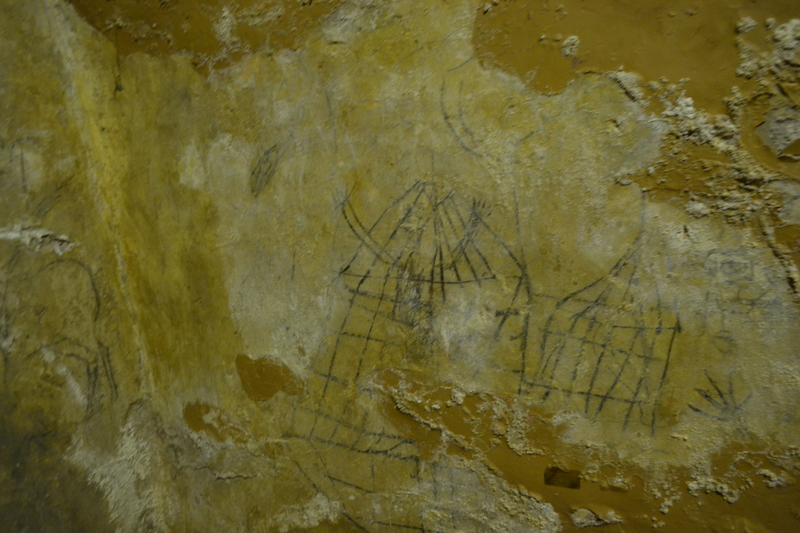 Boat images are quite regularly found in the nuraghic settlements as votive offerings and it is tempting to think that these drawings are part of a continuation of this. Particularly as one shows a human figure with their arms raised to the sky presumably as prayer. 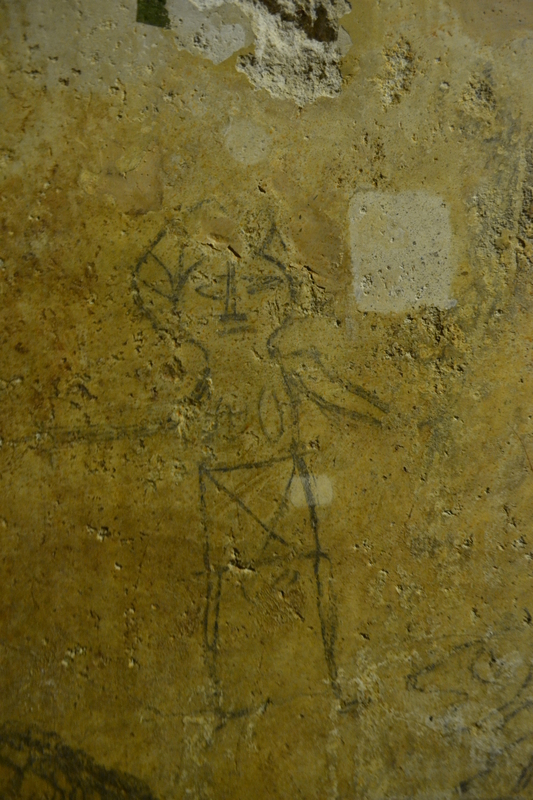 Were these drawings part of a long lost tradition of going votives to a sea deity perhaps linked to the waters of the well, which may have due to the proximity of the lagoons be saline? 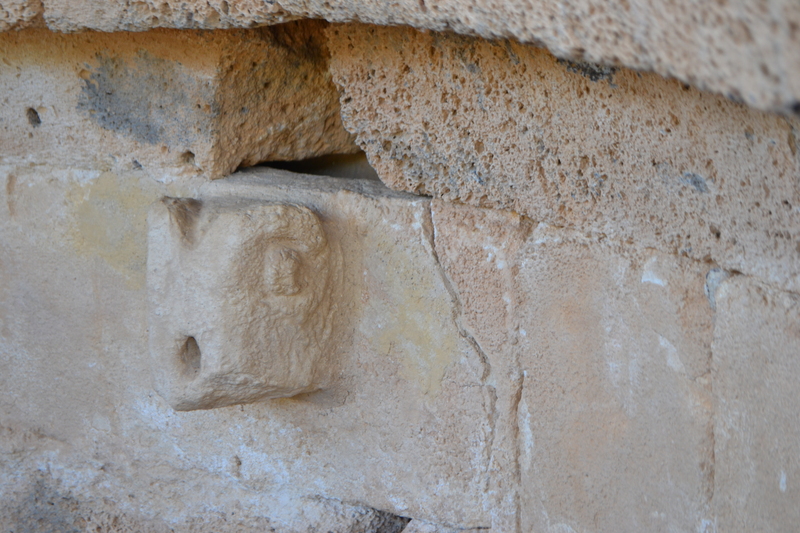 What is also interesting is that tradition may have connections to the Greek graffiti here – the Island of Delos – where God was born and ships shipwrecked. The fact that this tradition survived possibly from prehistoric times is remarkable. Greek iconography is very evident in the shrine. Two particular deities are present – Hercules strangling the Nemean lion. This image is particularly interesting considering the role the cult of Hercules had in the late period of the Roman empire when he vied for religious dominance against Christianity, Mithrasm and other cults. However again, Hercules was adopted by the early Christians as a metaphor. His many labours recognised as a divine struggle akin to that central to the story of Jesus and indeed he was often called Soter – the Savior. The dedication of the current church may possibly be a link to another association preserved from ancient times. 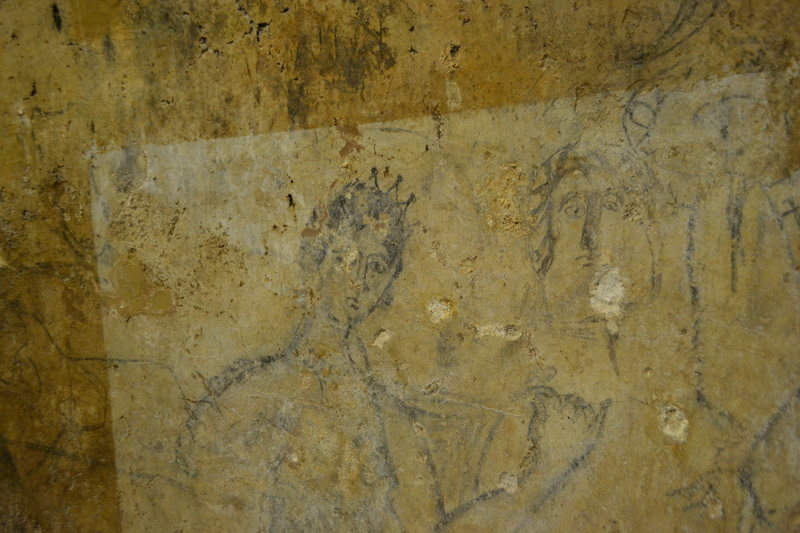 The most remarkable graffiti is that of two female figures standalone, with corona radiata on their head: identifying them as a deity. 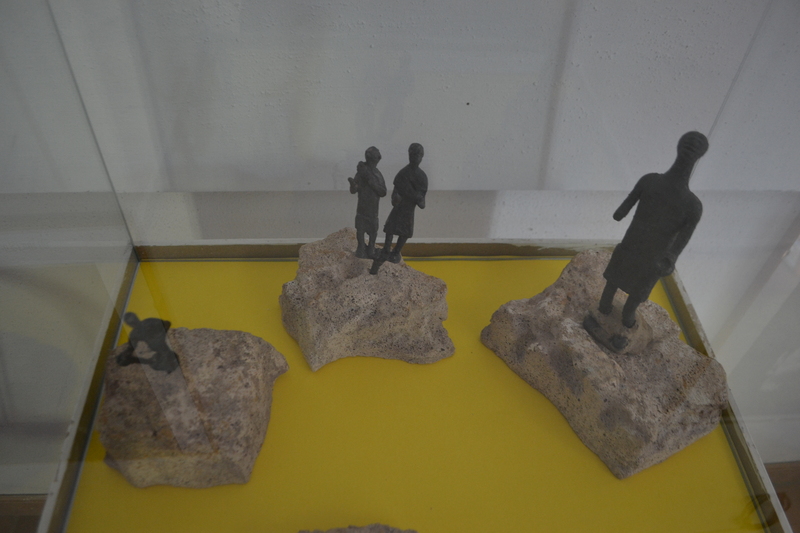 Over their heads of the figures they are painted their names: VENVS and MVRS – Venus and Mars. Above them is a winged cupid with AMOR. As a result the interpretation of this scene is the love affair of Venus and Mars. One which was particularly significant in the political and religious life of Rome: The city founders, Romulus and Remus, were said to be the children of Mars and descendent from Aeneas, a descendent of Venus. What is interesting again is the context Venus was another cult, popular at the times of emergent Christianity, and its survival here like Hercules is perhaps an attempt to adopt it perhaps as Mary. However, there is something more significant in line with the spring arising here. The appearance of the Venus is akin to that of a water spirit and indeed, Venus was a Goddess associated with water – being associated with the waves and the morning dew. This may date from 1509 a time when the Sardinian coast was subject to many Arab incursions and a landing occurred not far away at Cabras. 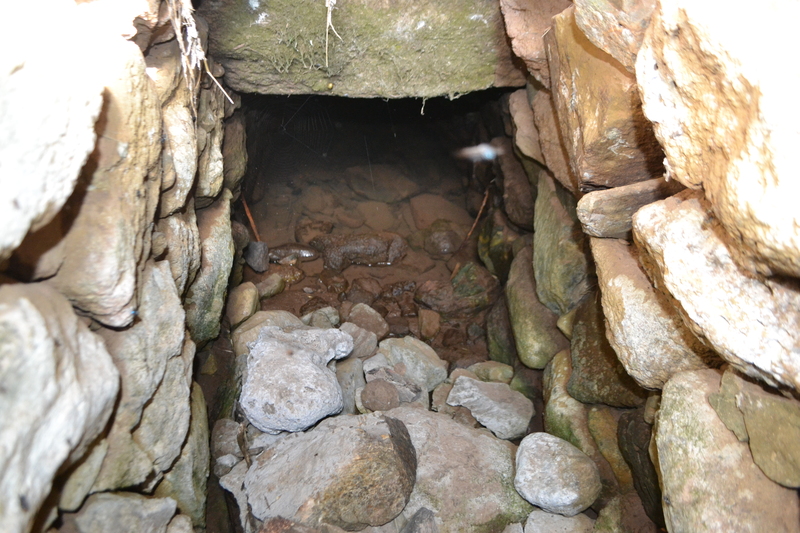 The presence of the inscription may be due to the site being used as refuge or maybe a prison! 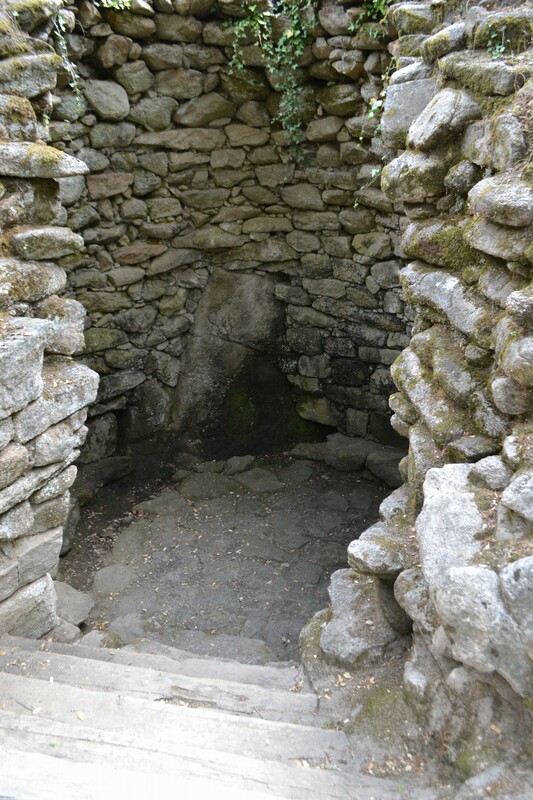 There is so much to observe in these four small chambers remote from the outside world. 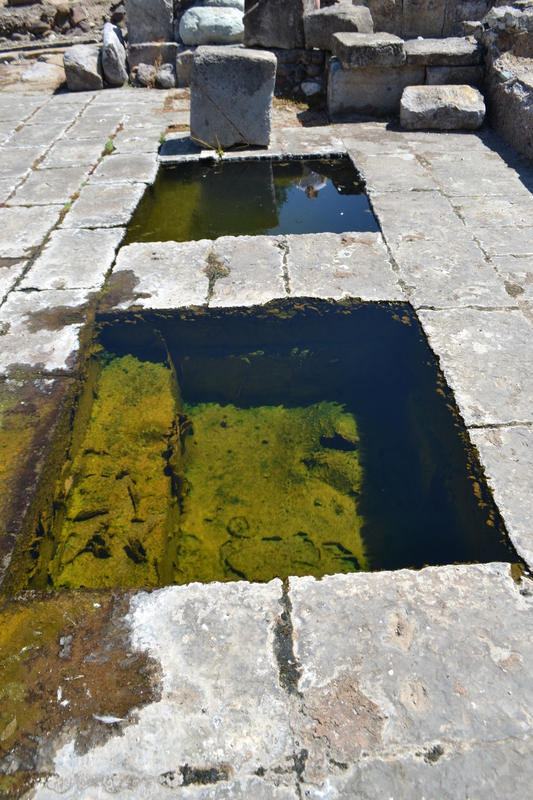 However what is clear that they remain a rare relic from an ancient time and a fascinating testament to how the faiths through the millennia had one central theme – the sanctity of water.